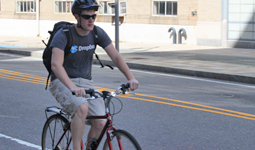 The compact size of the Boston/Cambridge area makes bicycling a popular mode of transportation for students and employees. In addition to riding on main streets, there are a wealth of paths, parks and bicycle-friendly streets that can make bicycling one of your most efficient, healthy and enjoyable forms of transportation. Since bicycling in traffic can be a challenge, riders should be cautious and follow the rules of the road. Current MIT employees and students can buy subsidized annual Blue Bikes memberships and ride at a discounted hourly rate. The subsidized annual membership for MIT employees and students is $35 (regularly $99). Follow these instructions to signup as a new member or renew your membership under MIT. An MIT certificate is required in order to register. NOTE: Unpaid postdoctoral fellows or research fellows, see separate instructions. Members of the MIT community can register their bicycles with the MIT Parking and Transportation Office. Register your bike online to deter theft and to help recover your bike if it is stolen. The MIT Parking & Transportation Office administers bicycle compounds located in the rear of Building 13, under Building E53 in the Hermann Garage, and in Building E62. Cards to access to the compounds can be requested by sending an email to commuting@mit.edu. Your bicycle must be registered with the MIT Parking & Transportation Office in order to gain access to a secure bike compound. 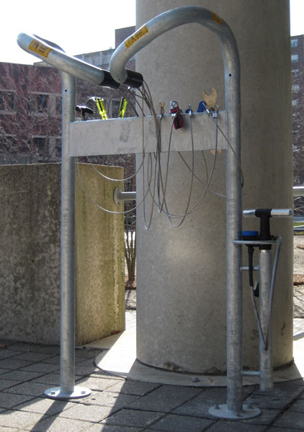 To find a bicycle fix-it station, check out the MIT bike map. To receive and share news or tips related to bicycle commuting at MIT, join the MIT Bike moira email list. Sign-up by emailing commuting@mit.edu and specifying your request to join the MIT Bike email list. To unsubscribe from the MIT Bike moira email list, go to your Moira subscription list and click "Remove Me".